Home/Investigators and Research Centers/Investigators/Vicente Serra, MD, PhD. Director of the Fetal-Maternal Medicine Unit and President of the Research Ethics Committee at the IVIRMA University Institute in Valencia; Professor of Obstetrics and Gynecology at the University of Valencia, Valencia, Spain. Vicente Serra Serra, MD, PhD, is the Director of the Fetal-Maternal Medicine Unit and President of the Research Ethics Committee at the IVIRMA University Institute in Valencia. Prof. Serra obtained his MD and PhD degrees at the University of Valencia in 1985 and 1988, being awarded with the Extraordinary Prize for both degrees. 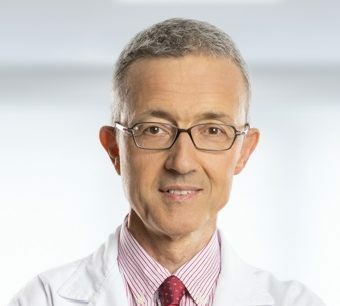 He became a Specialist in Obstetrics and Gynecology in 1990, after completing his residency program at the University Clinic Hospital in Valencia, followed by a post-doctoral Research Fellowship at the University of Oxford (UK) (1990-1992 & 1998). He became Associate Professor at the University of Valencia in 1994. He is Professor of Obstetrics and Gynecology at the University of Valencia since 2007. Correlation between neonatal outcomes of twins depends on the outcome: Secondary analysis of twelve randomised controlled trials. Need to define and validate an early pregnancy loss screening strategy. Vaginal progesterone decreases preterm birth and neonatal morbidity and mortality in women with a twin gestation and a short cervix: An updated meta-analysis of individual patient data. Ultrasound Obstet Gynecol. 2017 Jan 9. doi: 10.1002/uog.17397. [Epub ahead of print] Review. Doubtful association between progesterone therapy and fetal nuchal translucency. Computerized analysis of normal fetal heart rate pattern throughout gestation. Ultrasound Obstet Gynecol, 34:74-9, 2009. The value of the short-term fetal heart rate variation for timing the delivery of growth-retarded fetuses. Doubtful association between TAR syndrome and increased nuchal translucency in the first trimester of pregnancy. Can antenatal steroids be considered a fetal "stress" test in cases of severe placental insufficiency? Am J Obstet Gynecol, 191:1839, 2004. Can antepartum computerized cardiotocography predict the evolution of intrapartum acid-base status in normal fetuses? Acta Obstet Gynecol Scand, 83:267-71, 2004.